The comfortable, relaxing setting makes it the perfect place to enjoy some quality time with live entertainment, tasty drinks, and a friendly vibe. Near: btwn 11th & 12th St.
Scandals continues to set the bar high as one of Portland's best LGBTQ+ destinations. 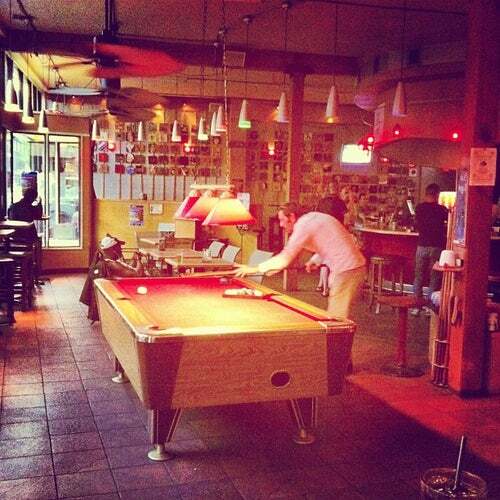 Friendly staff, great vibe, enticing drink specials, and fun events. Scandals is our only LGBTQ+ bar remaining in Portland's triangle area which historically (before this area experienced gentrification) was known as Vaseline Alley. Among many things Scandals offers to bring our LGBTQ+ community together, it's worth noting Scandals continues to be one of Portland's biggest business supporters of LGBTQ+ non-profits (especially a continued commitment to supporting HIV prevention, treatment, and care services). For all its history and for its welcoming fun atmosphere, Scandals continues to be a must experience for people visiting Portland to connect with new and old Portlanders. Had my first visit to Scandal's last night and had a good time. Not horribly overcrowded and drink prices are extremely reasonable! While visiting PDX I happened upon Scandal's and it was a nice surprise. Nice mixture of people. Friendly patrons and staff. Hand muddled margarita's were super! Can't wait to visit again. I agree if you want to stay home its the place to go you'll see your friend if he's 60 nothing wrong with 60 you understand. A little tired for the young and young at heart. Great for the older crowd. This is what Portland is all about. This bar really exemplifies Portland. It is casual, friendly and just relaxing. Think "Cheers" with gay boys.